Running a spa or salon is a time-consuming endeavor. All businesses are. The spa industry is uniquely challenging because you are not banking on an external brand to carry your business. Your brand is you. Your brand is your existing clients. And, your brand is your result-based work. It doesn’t come with a built-in marketing strategy. There is no universal home office creating your brand for you. It takes creativity, determination, and above all else, the organizational ability to execute your vision auspiciously. Organization: Make You or Break You! When first starting out, did you have so many ideas that it seemed like an episode of “6 Degrees of Kevin Bacon?” Your mind swirled with amazing concepts and tangents, but a business plan had to be in order, so you reigned those thoughts in and focused them. Marketing requires that same technique. It’s easy to spitball amazing concepts around, promotions that you want to run, design elements you want to implement, social media strategies that seem fun. But, without a distinct plan in mind about how to weed out and then execute, all this brainstorming can end up costing a lot time and money. Organization: Weeding out the not-so-useful-ideas! This requires knowing your audience and your client. Is whatever marketing campaign beneficial to both your current client and the one you plan on attaining? Is this marketing tactic going to gain you visibility in the area you want to be seen? If both of those are a yes, the final thing to ask yourself is, can it be executed? Is there the manning, funds and technical know-how to execute this campaign seamlessly? Once you have that in place, everything else is easy! Organization: From Idea to Implementation! Even the best ideas can seem daunting when it comes to executing. One of the best and most efficient ways to market is delegate and manage. While not always easy, it definitely leads to success! Listed below are some of the best tools around for managing marketing strategies. This amazing little organizational tool allows you to create multiple topics and subtopics while assigning individuals to the tasks, dates, priorities and any other bit of information you might need for each project! Gmail is also an amazing tool! Even if you have your own server at the spa, it’s no problem. You can import your emails to your Gmail account. 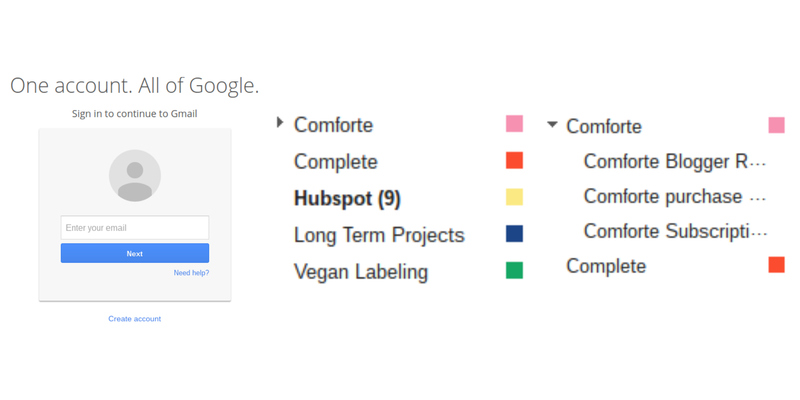 I’m a huge fan of color coding, and Gmail allows me to color code my subjects and color code subcategories within those subjects. This also works well for obtaining content for your social media sites. Within Gmail, you can create multiple custom email addresses and have them all sent to your one existing Gmail account under different folders. Now you can subscribe to all the trade magazines, vlogs, blogs, and podcasts you want without it clogging up your email. You can then skim through this content when you are ready and pull what you think your clients would like to see posted on your social media or web page. This one alone has a ton of subcategories! Social media is your friend. It is an amazing way to utilize free platforms for visibility. All it costs is your time! First thing First: Successful campaigns are planned out ahead of time. Being mid-July, you should be working on fall-to-winter planning. That planning should include any promotions/sales you want to do and the budget you plan on having for said promotions. Again with the color coding! Teamup is an amazing calendar system for organizing social media content deadlines. Besides color coding, you can also add team members in the event you are fortunate enough to have someone else manage your social media sites. I like to put important or fun holidays in there, as well as deadlines and content focus for the week/month. It is also icalendar ready! 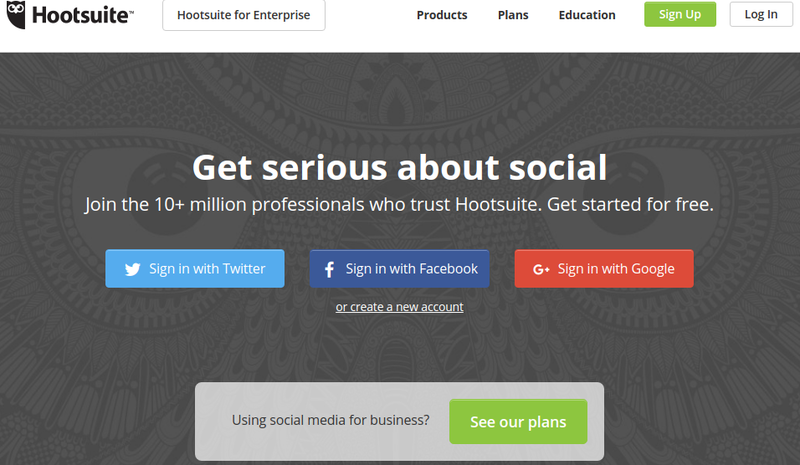 …And speaking of scheduling, Hootsuite is a LIFESAVER! This is fantastic for scheduling social media posts in advance. It’s great to be able to take a couple of hours once a week, grab all the content you’ve saved in Pocket, and schedule all your postings! For the times you need to be on trend, this website is ah-mazing! It’s smart time management to schedule a good portion of your posting, but to remain relevant in your area, you also need to have your finger on the pulse. Trends 24 allows that to happen. 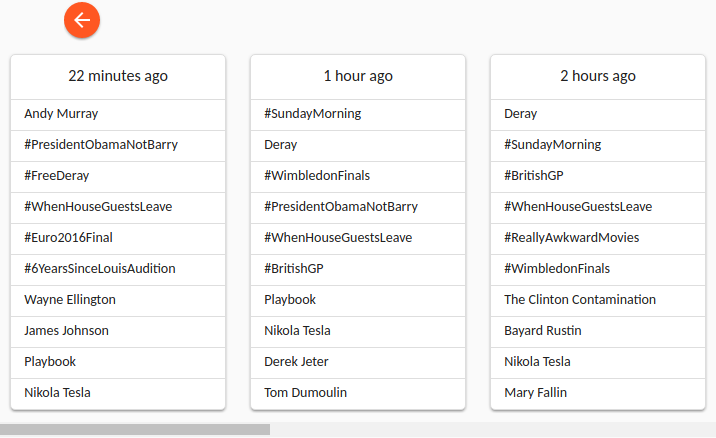 It lists an ongoing feed of trending hashtags with links to why it’s trending. A quick scroll through can help you find content relevant to your clients. You can then post with said hashtag to have better access to joining the conversation! Everyone has their little niche helpers. For big projects, outsourcing to pros is a must! For little things, however, helper apps are the way to go. Hubspot Marketing is a godsend! They send out blogs almost daily that have been invaluable! Whether you outsource your marketing or do it in-house, Hubspot helps you understand and navigate everything from marketing terms and marketing strategies, to how to drive buyers into buying. For photo and video editing, I have several tried and true’s (besides Photoshop and Youtube). Canva is free and has thousands of stock photos for free or $1. PicMonkey has a free version or an annual paid version that is one of the most user-friendly platforms around. WeVideo lets you customize videos both visually and audibly. You can also layer effects, sound, and backgrounds with both images and videos of your choosing. It’s user-friendly and free! Also, don’t forget to spell-check! Grammarly checks not only spelling but grammar and context as well. It can be implemented into your toolbar and automatically checks everything you type. All of the aforementioned tools are available as apps as well as on your laptop. This makes organization on-the-go a million times easier and marketing on-the-go uber productive! Do you have a tried and true way to get yourself organized and marketed? Please leave a comment below, we’d love to hear from you! Follow us on facebook for the latest and greatest in your spa marketing needs! Midsummer is here in North America. The east coast is SWELTERING and the USA just observed Independence Day. A day filled with camaraderie and fireworks. A day celebrated with a ton of food and a filled cooler to tame the heat away. As nostalgia kicks in, childhood is filled with memories of grilling out, adults enjoying their beverages and the carefree nature that is summer. As an adult, these same summer activities seem to scream ‘bloat’ instead! Between the sodium in traditional bbq-style food and water retention qualities of both caffeinated and alcoholic beverages, a summer bbq can wreak havoc on your body! So how do we battle that? Allow your body to detox naturally after a party. Eat water-rich fruits and vegetables. Pineapples, watermelon, bananas, and celery are all amazing options. Drinking a ton of water is also important. One of the main culprits of bloating, according to Spalon, is the excess interstitial fluid that accumulates between and surrounding fat cells. Basically, when your salt/water ratio is out of balance in the body, your body keeps any excess water around until the balance is restored. Drinking water and eating water-rich foods helps to restore that balance quicker. One of the other ways to battle that summer bloating quickly is with a body wrap. Hungarian mud is hot in the industry…and for good reason! Hungarian Wellness Mud’s thermal properties help to draw out any of the toxins. Its high mineral content battles water retention. The results are so immediate, some even call it The Ultimate Hangover Cure! Alexandria Professional®’s Mud Puddle® is made from 60% silicon dioxide and has one of the highest mineral contents on the market. Mud Puddle®, coupled with compression and heat, really offer a double whammy to get that svelte silhouette back after a day of indulgence. So, go ahead and indulge a little this summer. With a couple of minor dietary modifications and the perfect body wrap you can get back on track in no time! What are your favorite ways to stay healthy this summer? Comment below for a chance to be featured in a future article! Check out our facebook page for the latest and greatest in all things sugaring! Baseball season is in full swing. While most are people relishing in this weather with a grilled hot dog or explaining why the Angels are going to win the World Series, I can’t help but think of the training these athletes go through to get to this point. Besides the obvious mental preparedness that ‘battle’ requires, the physical dedication is some of the most rigorous around. Rain or shine, these athletes are putting their muscles through the ringer and getting up the next day to do it all over again. I know whenever I go for a good run or take a hot yoga class, all I want to do is cry about my sore muscles the next day! So, besides athleticism and determination, what gets these incredible athletes through that next day soreness? What many of us feel post day workout has an actual name: DOMS. Delayed Onset Muscle Soreness, according to the Journal of Athletic Training, is muscle pain and tenderness that develops several hours to a day or so after training. A study was done in 2005 that tested the effects of massage on DOMS without affecting muscle function. They found that massage reduced DOMS by 30% as well as reduced the swelling! According to the U.S. Department of Health and Human Services, EVERYONE should be exercising. They go on to recommend a minimum of 150 minutes of moderate physical activity a week. 30 minutes, 2 days a week should be strength training that employs ALL major muscle groups. That is a lot of sore muscles! Everyday athletes and casual exercisers alike experience DOMS and can benefit from even a short, post workout rubdown. Sports massage is very similar to deep tissue massage in that they use similar strokes and work towards going deep into the muscles. But, while deep tissue massage works to rid you of toxins and increase circulation, a sports massage targets specific areas in order to help prevent injury. A pre-event massage is optimal to help focus on stretching and loosening prior to, say, a marathon or sporting event. Since getting a massage can sometimes leave you a tad tender, we suggest getting one a couple of days prior to said event. To reduce the effects of DOMS, getting a massage a day or two after will give you the best results. The American Massage Therapy Association has a great write up about this. It includes a list of over 15 benefits of sports massage which include improved range of motion and an improvement on soft tissue function. Sports massage is cumulative in order to reap full benefits. Health and Fitness Magazine suggest weekly or bi-weekly treatments. In addition to having a regularly scheduled treatment, at-home care between treatments is extremely beneficial as well. Alexandria Professional®’s Injabulo cream uses the benefits of the Carapa and Calotropis plants to combat inflammation, as well as menthol to create an immediate cooling effect. Used regularly at home in between treatments, this combination can help alleviate pain from training. When it is used in the treatment room it can greatly improve the healing of the targeted areas by reducing inflammation. While I will probably still whine a bit when training for a 5k, I can look at these amazing athletes and know they are feeling the pain as well. Thanks to sports massage, they’re doing something about it! Have some great tips for alleviating DOMS? Comment below and follow us on facebook for more information on how professional spa services can benefit you!